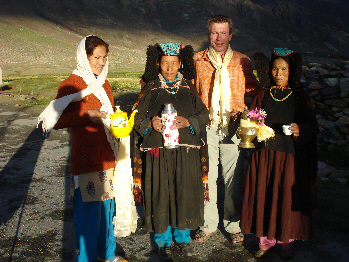 About us – Förderverein Sani-Zanskar e.V. Already when we first started travelling to this region back in 1995, close contact with the inhabitants and the Sani Monastery developed. With this, we gained an insight into the present and future problems. 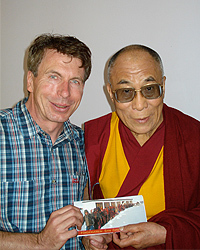 That’s when we decided that we wanted to help and support education and health care of the people in Sani and Zanskar. For this purpose, in 2003 two associations were founded, i.e. one in Germany and one on-site in Sani. Both are non-profit gaining organizations and therefore the money donated may be tracked transparently. The tasks of Förderverein Sani Zanskar e. V. encompass in addition to maintaining the winter school, arranging and supporting sponsorships for pupils and financing individual health care projects in the hospital building erected with the help of RWTH Aachen in Sani. We help to organize the temporary stay of Western physicians and make available the necessary medical devices. Our partner organization, i.e. the Nima Odser Sorig Foundation, is acting as the local contact.